FDNY Engine 202/Ladder 101 Battalion 32 is located just at 31 Richards Street, right near the Brooklyn-Battery tunnel Street entrance. 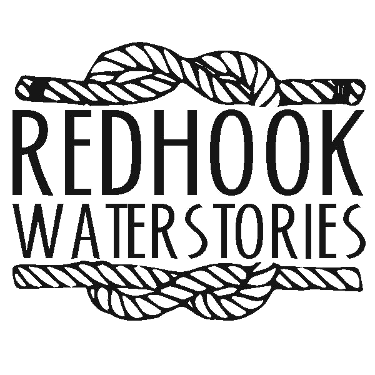 They are known as the Red Hook Raiders. 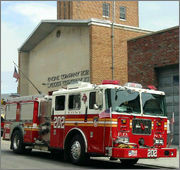 Engine 202/Ladder 101 was one of the first to respond to the September 11, 2001 attack on the World Trade Center. Ladder 101 lost all seven men who answered that call that day. Prior to 1960 they were located at 199 Van Brunt Street. The building is now occupied by Friends of Firefighters a service organization for the aid of firefighters.